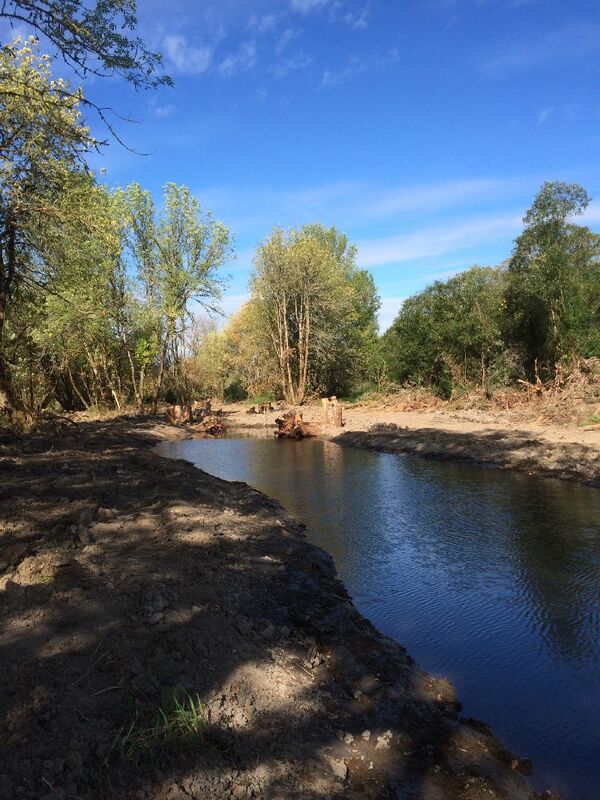 Waterways completed the planning, design and construction oversight for a floodplain enhancement project located within the Columbia River floodplain, just east of Clatskanie, Oregon in Columbia County. 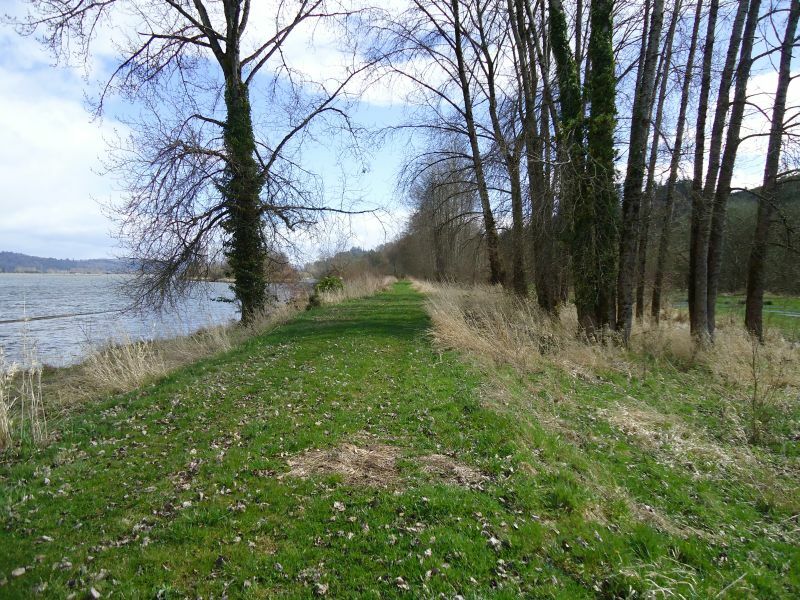 The project was a collaborative effort between the landowner, Columbia Soil and Water Conservation District, Lower Columbia River Watershed Council, Lower Columbia River Estuary Partnership, and Bonneville Power Administration. 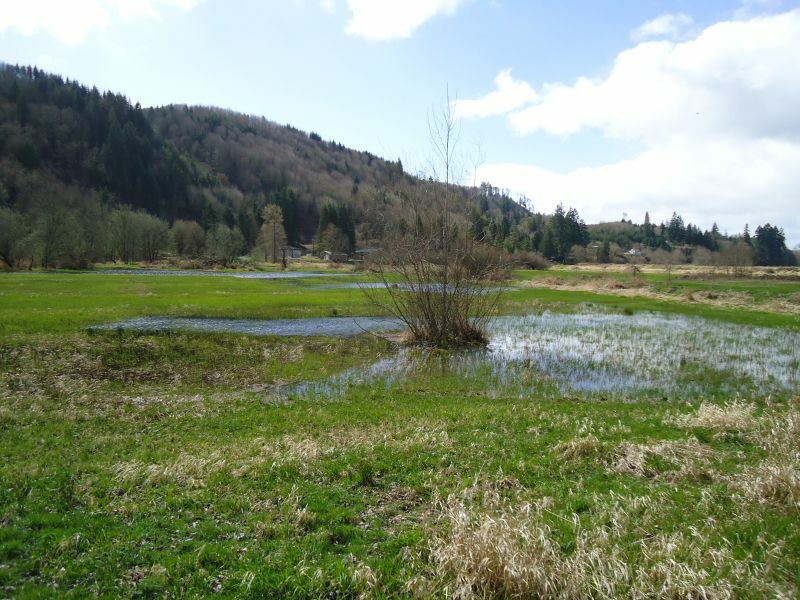 The planning stages of the project involved an evaluation of three restoration scenarios that were presented to the private landowner with the goal of achieving a more natural inundation regime through modifications to existing levees and tide gates on the 62 acre property. 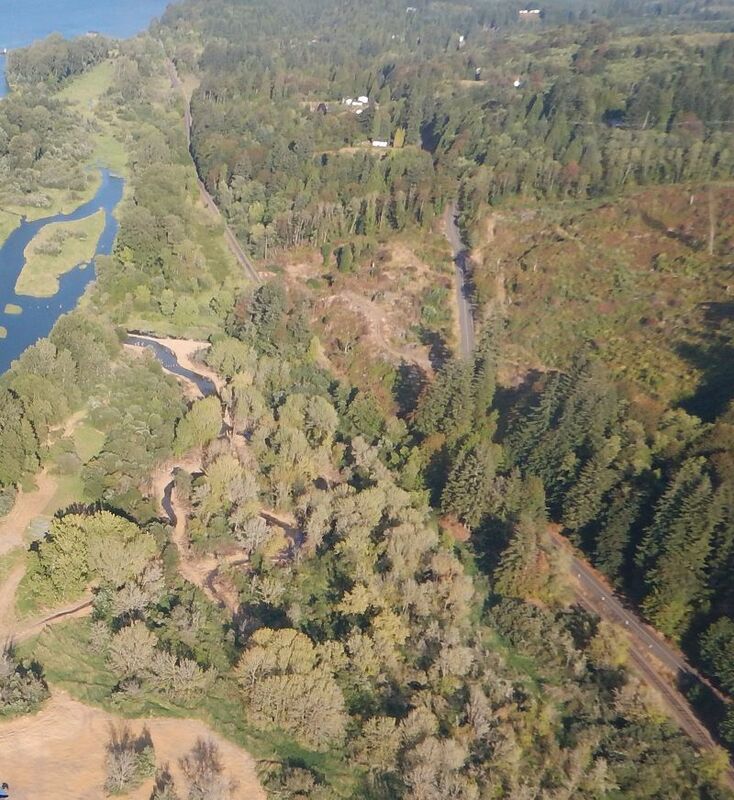 The preferred alternative was developed into a design that involved a levee breach and tidal channel construction to reintroduce 32 acres of floodplain to tidal waters of the Columbia River. 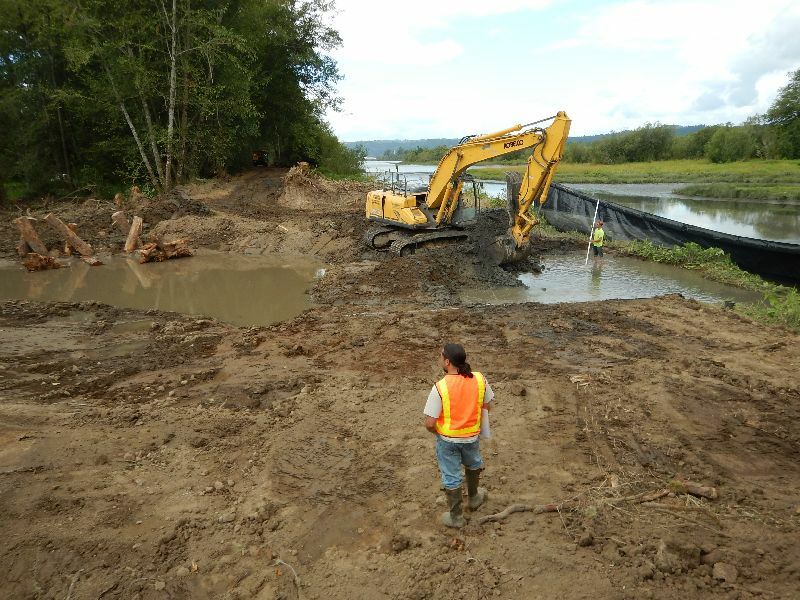 The project also includes construction of log structures, beaver piles, hummocks with turtle nesting gravel, and upland areas with native grasses to improve habitat for multiple native species including juvenile salmonids, western pond turtles, red-legged frogs, beaver, and Columbia white-tailed deer.